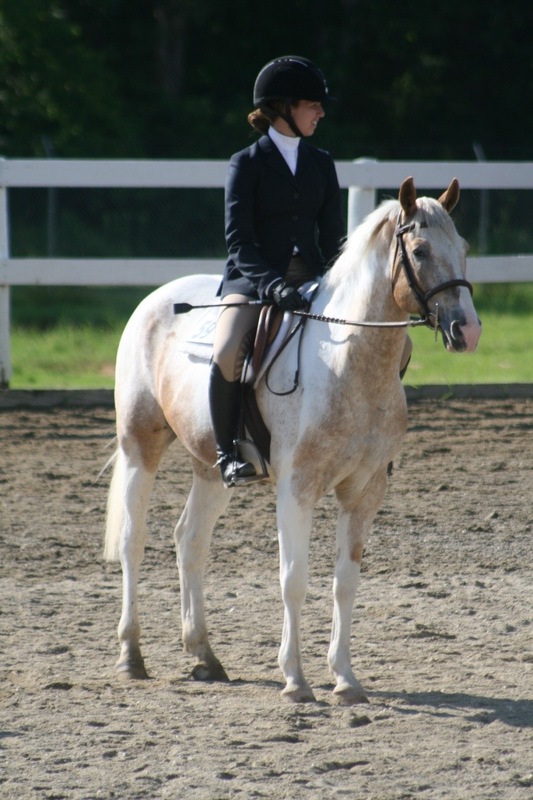 Target was purchased as a yearling at Crowley’s auction in Agawam, MA, in 2001. He was full of himself from the very beginning! Target has a larger than life personality, and is very, very smart. He is lucky he is so handsome, and has such smooth gaits, because he was a difficult start. Target was Stephanie’s horse after she outgrew Rosie, and she went on to do great things with him. 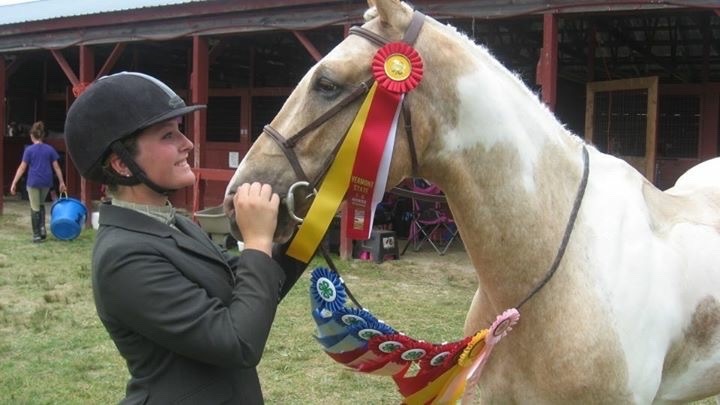 She was multiple Grand Champion at the VT State 4-H Show, she won everything locally and at the Fair with him, she went to the Big E, won Fitting and Showmanship, Equitation and Equitation Over Fences. She took him cattle sorting multliple times, and won money. 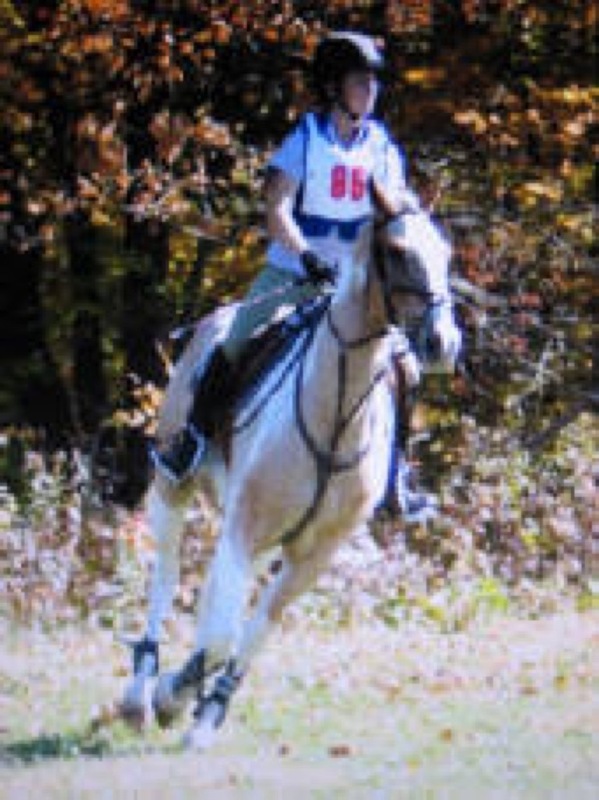 She qualified to go to Kentucky with him in Showjumping, and if we could have afforded it, she would have gone and won! 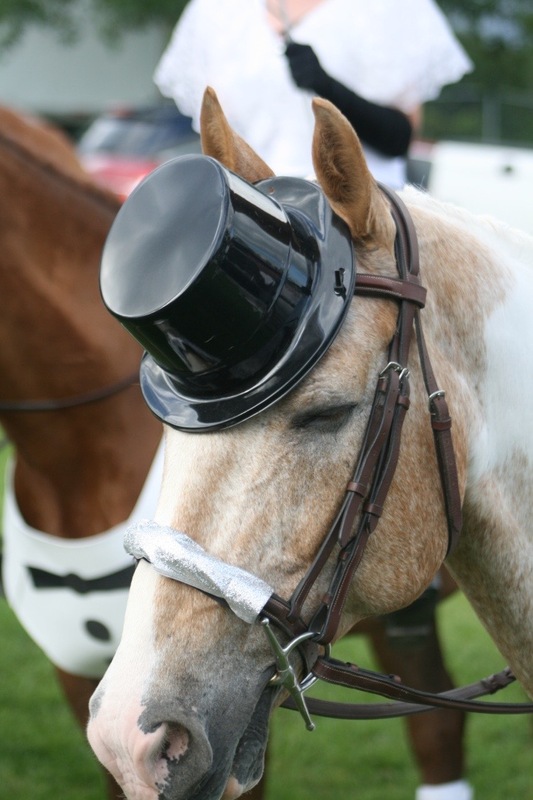 Stephanie made Target one of our finest schoolmasters, and he is a dependable member of our schoolhorse team. Target has an allergy to dust, and cannot be with the big group on large round bales for that reason. 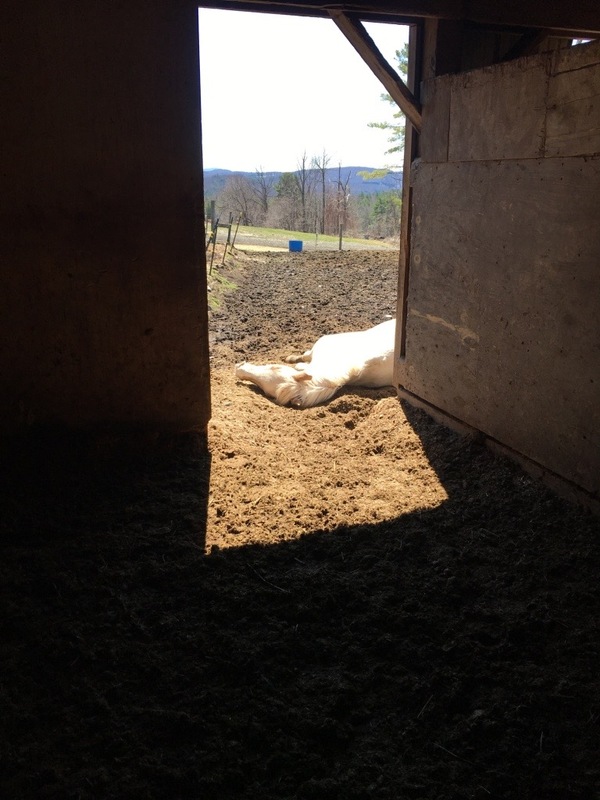 He is therefor pastured separately in his own run-in. Target has a reputation as a horse with “attitude”. He knows what you know, and he knows what you don’t know, and he knows it’s his job to teach you the difference. Target has a sense of humor that is not always shared by his riders until they are experienced enough to love this about him.